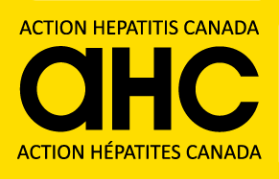 AHC calls for Provincial/Territorial implementation plans to include the recommendation of a one-time test for hepatitis C to be offered to all adults born between 1945-1975, and to implement simplified testing procedures. Canada’s screening guidelines recommend HCV testing for people with known risk factors for the infection including: people who use drugs; prisoners; those who were born, traveled or lived in a region with a high prevalence of HCV; people who received healthcare where there is a lack of universal precautions; and people who received blood or blood products in Canada prior to 1992. This risk-based approach to screening has had limited success as it relies heavily on memory and disclosure of past potential exposure to HCV. Under this policy, it is estimated that nearly half of all cases of chronic HCV in Canada remain undiagnosed. With evidence showing that 75% of those with hepatitis C being born between 1945-1975, the AHC believes that current risk-based screening recommendations need to be complemented with a recommendation for one-time screening for people born between the years of 1945 and 1975. The AHC released a position paper on this subject in December 2015. ​An announcement from the Public Health Agency of Canada (PHAC) of new guidelines, including a recommendation for a 1-time testing of this age cohort, were expected. The AHC, along with our allies, began asking PHAC where the updated guidelines were. We also published our position paper on the topic and discussed it in meetings with several MPs. The review of the guidelines was pushed to the Canadian Task Force on Preventative Health Care (CTFPHC). AHC asked to be included in the review, and at every stage provided significant evidence and argued for the inclusion of age-cohort testing. The CTFPHC published their updated guidelines in the Canadian Medical Association Journal (CMAJ) in March 2017. The guidelines do not include a recommendation for age-cohort screening, citing the cost of treatment as one of the main reasons. This decision has been widely criticized by liver specialists across the country. AHC continues to hold that a one-time age-cohort testing for those born between 1945-75 is needed in order to ensure all Canadians with HCV are diagnosed and linked to care.